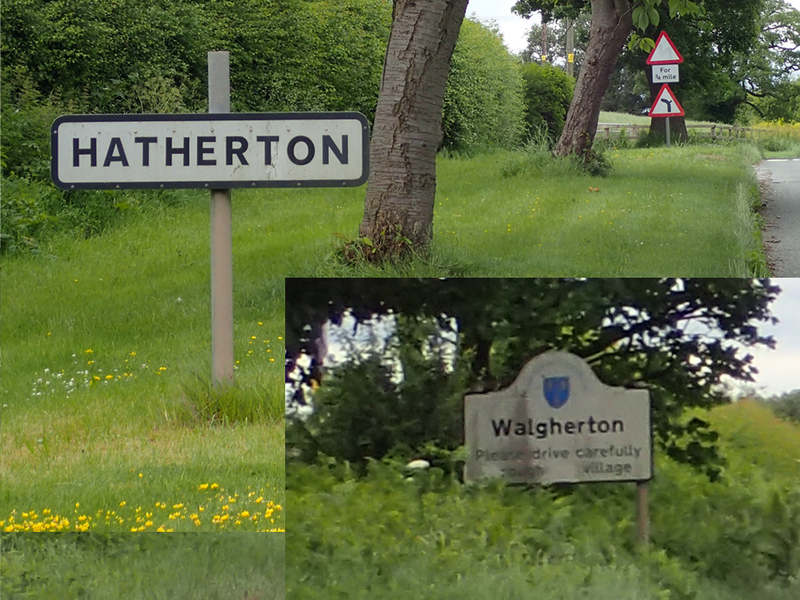 This site has been created to record the condition of Hatherton and Walgherton roads, issues that have been reported and any other issues of interest to local residents. Please let me know on behalf of the Parish Council if you report an issue and I will try to maintain a list of issues and solutions. This will be developed over time. The site includes a map that can be used to obtain grid references in Great Britain (NGR) or the world (lat/long). . If you want to report your problem direct to Cheshire East Council, you can use this link: https://www.cheshireeasthighways.org/report-it-general.aspx but please let us know so that we can track progress on your behalf. Cheshire East website adds that if you consider this to be dangerous or an emergency, please call them on: 0300 123 5020. Water supply leaks on the roads can be reported on-line to United Utilities by using their website at https://www.unitedutilities.com . If you report a leak on a road, please let us know so that we can keep an eye on progress. There is a page on this site about Data Protection issues concerning the Hatherton and Walgherton roads website. For any other information about our parish, please go to the official Parish Council website at www.handwpc.org.uk. To contact me about any road issues, please e-mail me at Nigel [at] handwroads.org.uk or use the on-line enquiry page.